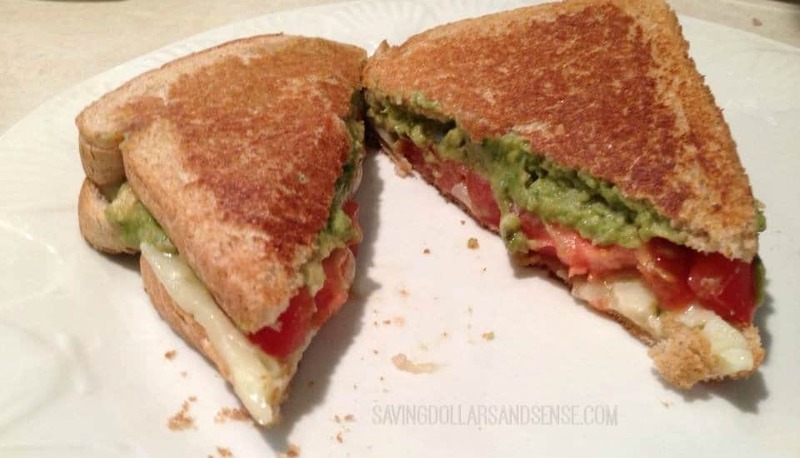 I made this Avocado, Tomato and Pepperjack Grilled Cheese Sandwich the other day and it was delish! I had some mashed up avocado and a tomato and decided to try making something I have seen over and over on Pinterest. By the way, are we friends on Pinterest? I only had Hot Pepperjack Cheese in the fridge so that is what I used. It was SO good and filling. 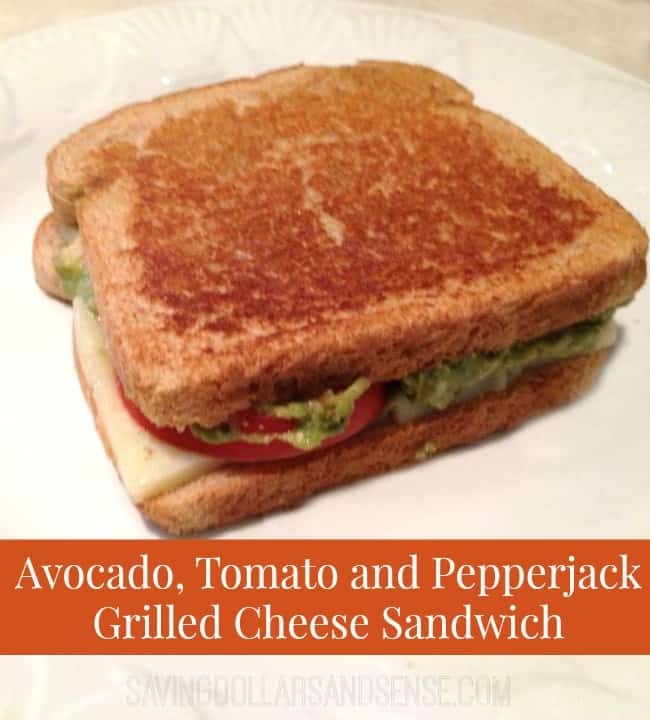 I was full for hours and the pepperjack cheese gave the flavor a nice kick! Butter 2 slices of bread as you would to make ordinary grilled cheese and place one piece butter side down in a frying pan. Spread some mashed avocado on the bread in the pan until covered. Then add a couple sliced tomatoes on top of that. Finally put a layer of cheese on top of the tomato and cover with the other slice of bread butter side up. Fry on medium heat until brown and carefully flip and cook the other side until brown and the cheese is melted. If you make this I would love to hear what you think of it.